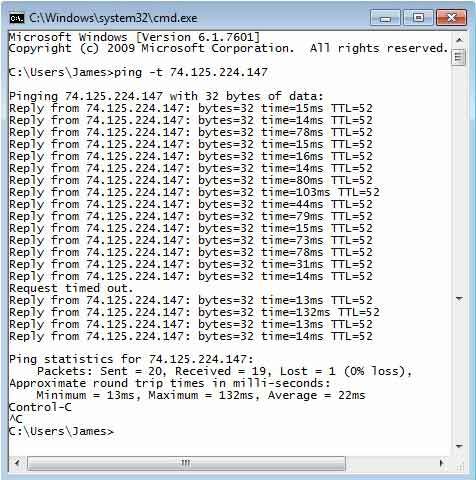 Timeless Ping: A way to test connectivity. Use this if we suspect that something like a firewall is interfering with the data connection. 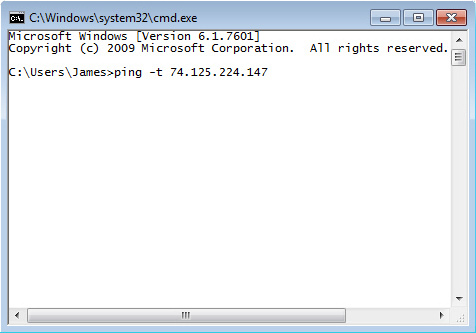 Enter ping -t 74.125.224.147 then press the Enter key. 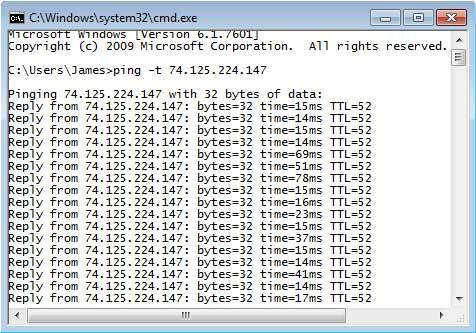 As the ping command is executed, the following information (or similar) will be displayed. Excellent echo request response time less than 30 milli-seconds (e.g., time=13ms). Poor echo request response time greater than 100 milli-seconds (e.g., time=132ms). No response, Request timed out.